Villa Avalon III provides the perfect sanctuary for a couple who value extra privacy. With its one bedroom suite, it is the most intimate of the three of luxury properties on the Villa Avalon estate. 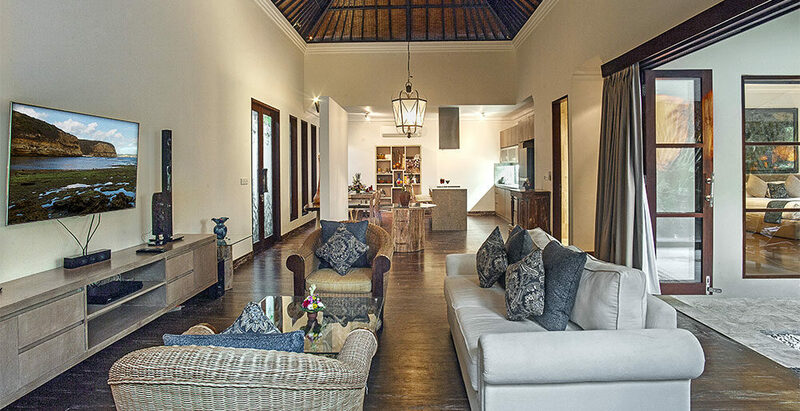 Designed by award-winning Bali architect, Popo Danes. 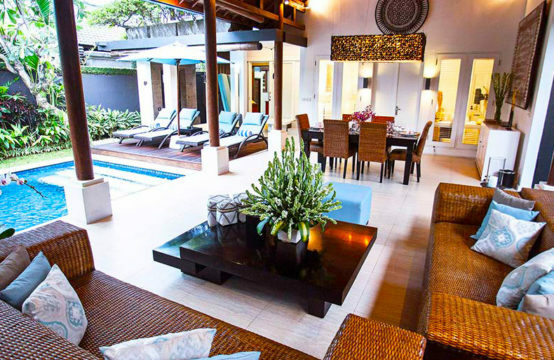 Villa Avalon III can be rented independently or in conjunction with four-bedroomed Villa Avalon I and/or two-bedroomed Avalon II. When rented as a whole, the Villa Avalon estate offers seven spacious bedrooms and makes a dream wedding venue. Each villa has its own private pool and all are looked after by an efficient and friendly staff team who work discreetly in the background to provide stellar service from morning until night. This team includes a private chef to prepare breakfast, lunch and dinner when Avalon III is rented together with the four-bedroomed villa. 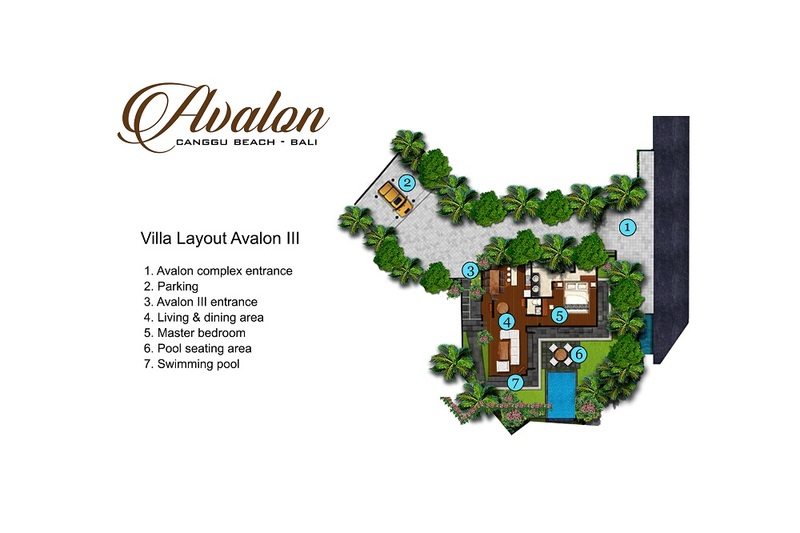 Avalon III also has access to the main villa garden – a useful short-cut for those renting both villas together. 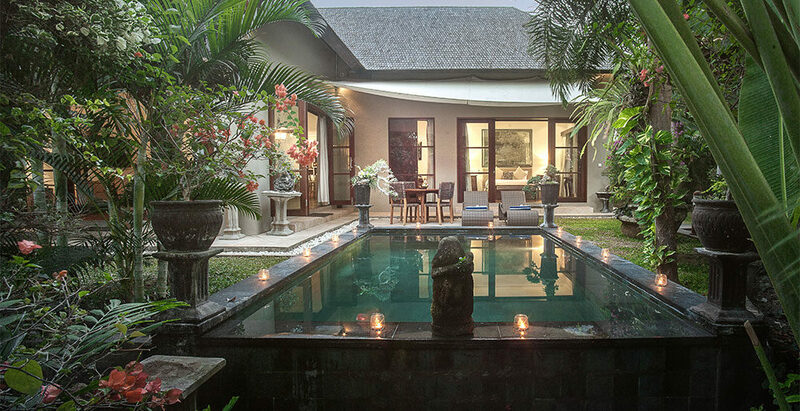 The villa’s traditional Balinese entrance opens onto a lotus pond where steps lead past water features and into a large open-plan living and dining room with vaulted ceiling. At one end, set before double doors that open onto the pool terrace, comfortably upholstered seating faces a 42-inch TV with home theatre system. 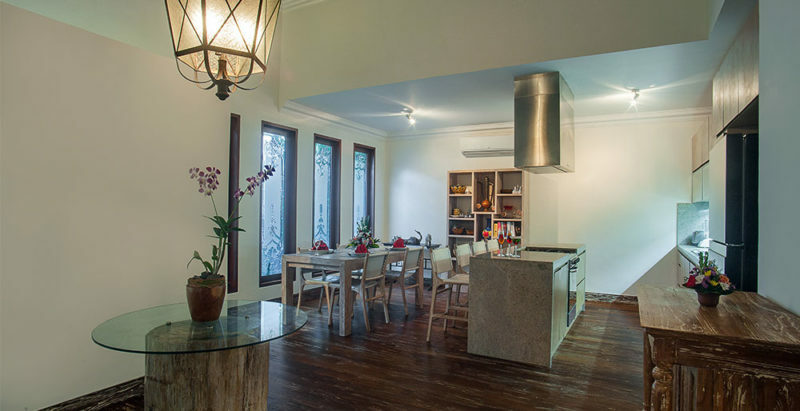 At the other end, a breakfast bar separates the exceptionally well-equipped kitchen from the dining area, where four white leather chairs are set around a table. 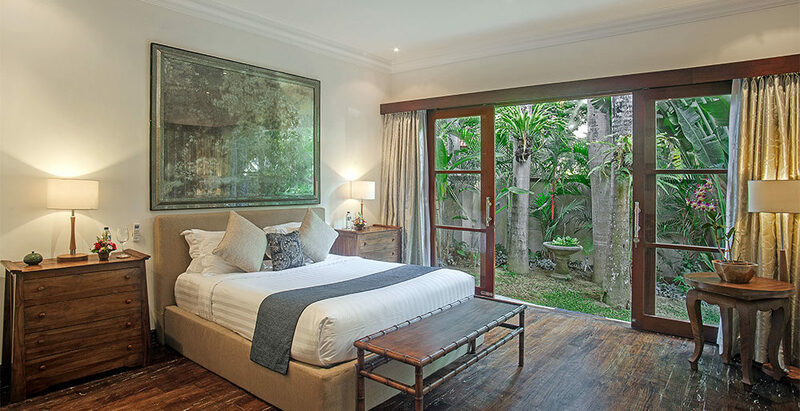 Accessed via a small lobby off the living area, the villa’s bedroom is furnished with a queen-size bed and has a small seating area facing the pool terrace. 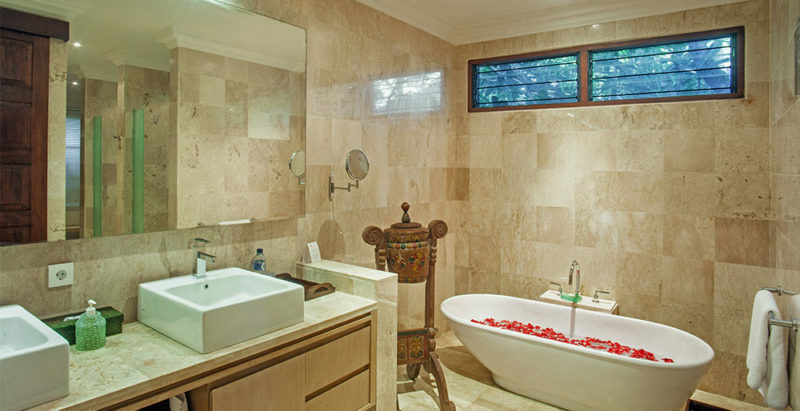 The bedroom’s palatial ensuite is fitted with a statement bathtub, rain shower and dressing room with walk-in wardrobe. Capacity for 2 adults (1 ensuite bedroom with queen-size bed). An extra bed can be provided on request for a small extra charge. Pool: 6m x 4m x 1.5m. The estate chef is available to prepare a variety of Indonesian and international dishes from a suggestion menu. Grocery cost is charged 20% handling fee which is subject to service and tax at the prevailing rate.